All VillageWalk homes currently listed for sale in Wellington as of 04/26/2019 are shown below. You can change the search criteria at any time by pressing the 'Change Search' button below. "Just reduced $10,00 this fabulous Carlyle Model with screened pool, covered patio, water lot loaded with custom upgrades. Professionally landscaped with a side load entry and a front porch perfect for reading or relaxing. Freshly painted living area with crown molding in living and dining rooms. Lovely kitchen with newer stainless steel appliances and beautiful granite countertops. Pull-outs in all kitchen cabinets. Custom built-in wall unit with granite tops matching the kitchen countertops. Master suite has sliders looking out to the pool and peaceful lake view. New wood flooring in the master suite with tile in the 2nd & 3rd bedroom and carpet in the 4th bedroom. The master bathroom, his and hers, has been redone, seamless shower doors and molding around all mirrors. 2nd bathroom"
"***PRICE REDUCED! *** Live the VillageWalk lifestyle in this expansive Carlyle Model home with 4 Bedrooms and 3.5 baths on a prime lake front lot. 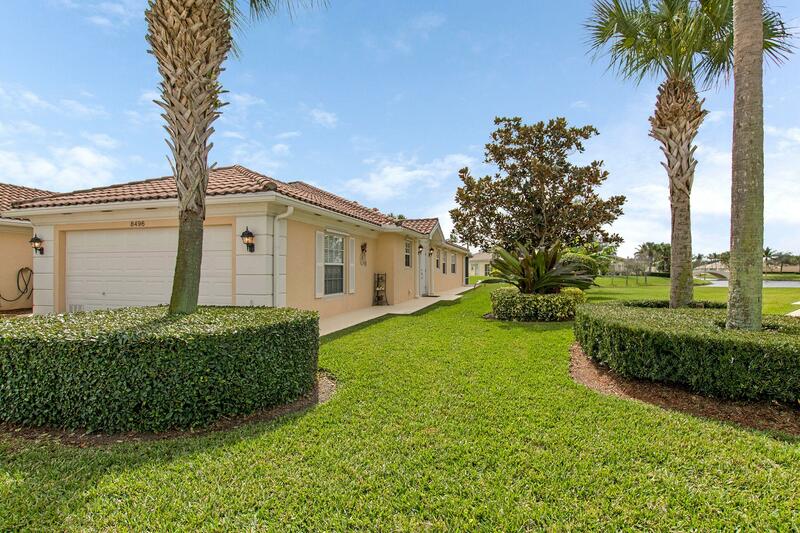 This lovingly maintained home offers neutral tile floors throughout, high ceilings, a graciously flowing floorplan, and walls of windows to let in the light and the views of the lake. The professionally landscaped yard is fully fenced and ready for children and dogs to safely play. VillageWalk offers miles of pathways to stroll and a clubhouse with facilities that rival any found in Wellington." "Just reduced $10,000 this cul-de-sac Extended Capri Model with a private backyard, no walkway. 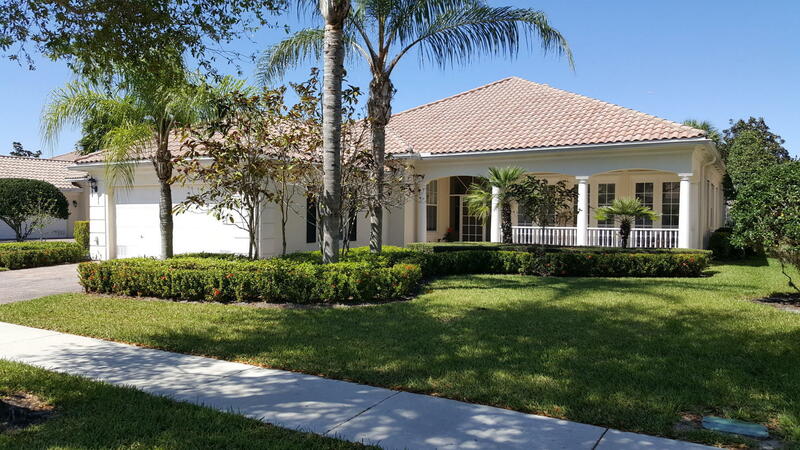 This spotless 2/2/2 car garage villa plus living room has 1680 living square feet. Very hard to find in an Extended Capri, this comes with a covered screened patio with awesome wide lake views and view of the walking bridge, newer high efficient A/C unit, porcelain marble like tiles thru-out the living area with neutral color carpet in the living room & bedrooms, corian countertops, new refrigerator, beautiful plantation shutters, surge protectors, closet organizers in all closets, central vacuum, under cabinet lighting in both bathrooms, pull down stairs in garage with a floored attic, great for extra storage. 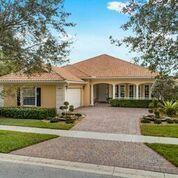 All of this located in the only resort style community in Wellington, Villagewalk."